Rest in Peace Mrs E.
It is with great sadness that we announce the passing of Barbara (Mrs. E) Ellswoth. Mrs E. was a long time volunteer for the CCBl, Yarmouth-Dennis , and Harwich. 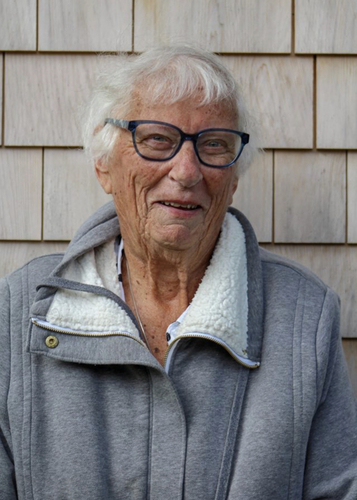 Mrs. E. will be enshrined in the Cape Cod Baseball League Hall of Fame on December 1, 2018. Barbara Ellsworth joined Yarmouth-Dennis Red in 1978. During her 34 years with Red Sox, she was President, VP, Housing Coordinator and GM. During the 1984 season, when the former executives of the Red Sox left the organization, Mrs. E, as the GM, and Fred Ebbett managed to find local fields to play 22 “home” games. Mrs. E was CCBL Executive Board member and has coordinated several CCBL All-Star Game festivities including scout liaison and two Cape League All-Star Teams which played against Team USA. She assisted CCBL Try-Outs and served as Merchandise Manager for World Jr. Baseball Tournament held on the Cape and Fenway Park. Throughout her years with the Cape League, she has hosted 153 players including 12 current and former MLB players. In 2013, she became involved with Harwich Mariners, for whom she has continued to host players, including four whose fathers she hosted when they played in CCBL (Biggio, Bordick, Mulry and Dana). In 2017, she hosted son of the first player she ever hosted, in 1979. Mrs. E has two sons, Mark and Kent, and daughter, Meaghan, as well as six grandchildren and seven great-grandchildren. Mrs. E will be inducted into 2018 CCBL Hall of Fame by 2011 Y-D Red Sox player Robert Benincasa (Florida State).